So Not Mocha-vated: Snowflakes...in August? On a side note, I started a new job today. Awesome people, but I hate the work. At this rate, my body should feel 80 years old in 14 days. I had a job where, for 7 years, I got up for every shift happy to go. Now, well...I guess the party is over :( I still wish I had my old job back, but with the hour cut backs and a new store owner, that is just not possible. Here is to new possibilities that may be waiting around the corner...I am going to think this job positive!!! Hope you all have a fabulous week! Good luck with your new job, Pryn! In this economy, a positive attitude is your best friend. I'm glad to see you are "up" to the challenge. Best wishes in your new job, Pryn! I'm sorry it doesn't look as good as your old one right now, but hopefully, with time, the nice people will help you get acclimated and you never know what opportunities will be right around the corner. Your CAS Christmas card is gorgeous! Wonderful design! Hugs! Gorgeous card Pryn!! I love everything about it!! About your job... I'm sorry to hear about your old job. It really stinks when stuff like that happens. I'm sorry you aren't feeling the new job right now. I'm glad you are thinking job positive. That's the way to think!! I know you can do it. If it is really a crappy job, look for a better one in the meantime while you are there... good luck my sistah!!! Love ya! This is an amazing card, pryn! Great cas style! Sorry to hear about your job. I'll be wishing some good job vibes your way... Either to improve the current outlook or a new opportunity! this is adorable, I luv snowflakes card even in August...perfect...no shovel...teehehehe...hope you have a wonderful weekend, it is right around the corner! I LOVE this! It is really perfect!! Your card is beautiful! I hope you are not too tired from your new job to keep making all these beautiful creations! 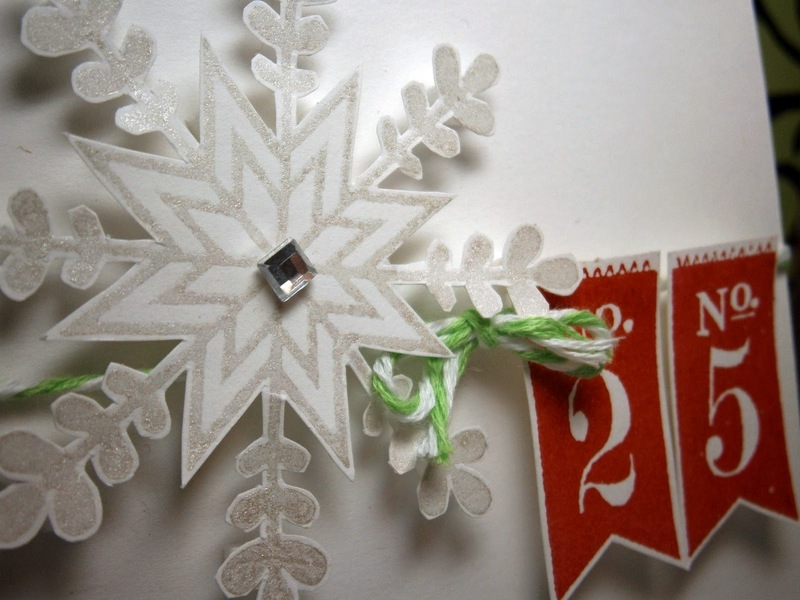 Love your snowflake card! Keep happy by creating in the off time! I think that snowflakes in August are just perfect! Hope the job gets easier each day. Beautiful card. Good luck with the new job! The card is wonderful! Hopefully your new job becomes wonderful too. Love this CAS Christmas card! I really should start mine soon. :P Hope the job situation improves for you! This is beautiful! Great use of those number stamps! Fabulous CAS card! Good luck with the new job... I know your positive attitude will help. Love your flaky card! It has finally cooled down here it Northwest WI. I hope you find contentment in your new job and settle in to a comfortable routine. Maybe new scrapbooking friends? 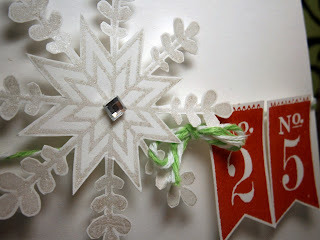 Pryn this card is stunning, I am looking for a good design for my Christmas cards but am finding some good inspiration here, LOL I have a new digi stamp I will try and will look for a snowflake stamp as well. Good look in your new job I hope it works out cause there is nothing worse then going to a job you hate!! Been there done that. Beautiful design, Pryn! I love the hanging date and all the white space!